My Desert Island Patterns theme seems to have gone down quite well. A couple of people have already asked if it is OK to use the idea on their own blog/vlog so I’m very flattered. 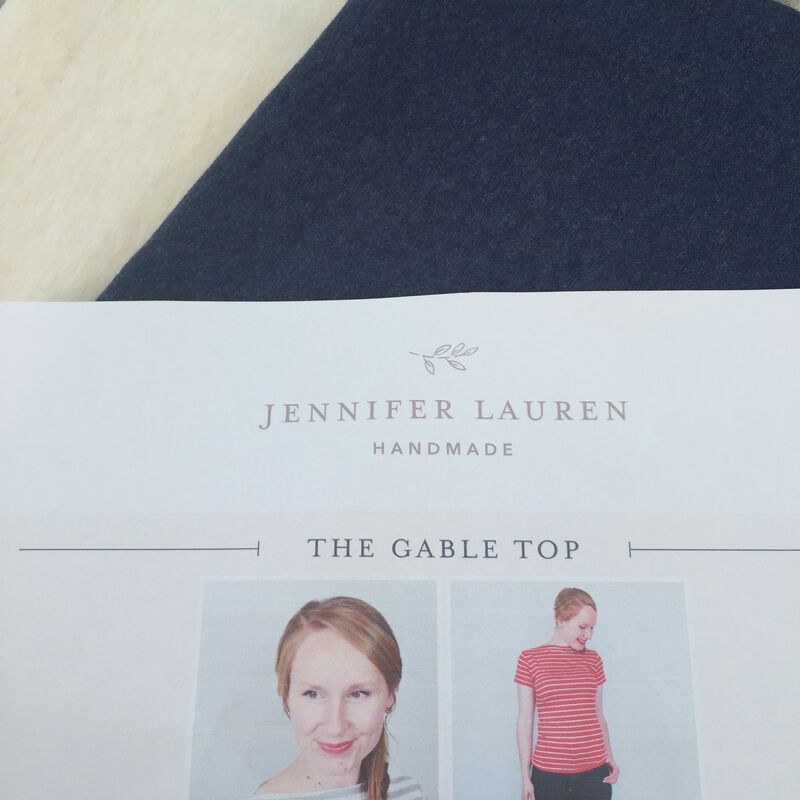 Next up for my Desert Island sewing is the Jennifer Lauren Handmade Gable Top. Until yesterday morning I hadn’t realised quite why this pattern appealed to me so much when I first saw it. I was scrolling through Instagram and saw @judy.wiseman’s post about the new postage stamps featuring classic toys. There was my Sindy doll wearing a Gable Top – the neckline is identical! My Sindy was the brunette version, although I don’t remember her hair being quite so big and bouffant! I’m sure I dealt with that quite quickly to bring it under control. I think I was fairly brutal with dolls’ hair. Poor Sindy looks rather uncomfortable in this box with cardboard round her neck. In fact mine had a serious neck/head-related incident, i.e. her head came off. This may or may not have been my fault but I was bought a replacement exactly the same as the first. Maybe she’s still up in the loft at my mother’s house along with some of the clothes she made for her. If the loft ladder wasn’t so precarious I might venture up there for a look. Back to the Gable Top. I’ve already posted about my two versions so far here and here as well as my dislike of low cut necklines. This is an excellent pattern which I can definitely recommend. It comes together really quickly and the neckline can be altered to your preferred height and then stitched down. There is no binding or neckband required which makes life very easy. It is also a very flattering shape. Sadly my first version had a disagreement with the iron and is due to be turned into a short sleeve version to eliminate the hole! The other one is probably my most worn top this year. It has been through the wash numerous times and still looks as good as new. I particularly like wearing it with my denim Cleo. The graphic fabric is a fabulous quality eco jersey from Ditto. I’d love to use it again for a Gable Top to go with the new Cleo I’m making in a very dramatic black and white fabric to wear to the GBSB Live. At the moment the jersey only seems to be available in blue or orange. I’m not sure I’m an orange person. In fact I’m pretty sure I’m not so I’m on the look out for an alternative. A black version would be the most practical as I know I’d get a lot of wear out of it through the winter. I also have two other fabrics lined up for the Gable – a neutral organic jersey and a mid-blue jersey as listed in a previous post following my recent fabric stocktake. As there are several versions of the Gable I think it will be suitable for whatever the weather is like on the Desert Island I’m washed up on. I’m hoping for tropical but knowing my luck it will be windswept, wet and chilly. I just hope I don’t get marooned there before I get a chance to wear my new Cleo (and Gable) at the GBSB Live! This pattern has always been on my list, but I never got around to buying it! I keep thinking I might find something similar in my enormous Burda Magazine stash… (I am planning on inventorying that this winter)… Both of yours look lovely! Thanks Alex. I spent ages trying to find a top with just the right neckline and this definitely hits the brief! My Sindy is blond and she has the outfit in the box. I still have her and her clothes! I’m so envious! I really will have to tackle that loft ladder just in case mine is up there! Very good Jane. No I don’t think you are an orange person! You are right! There will be no orange! I always thought Sindy so prudish to my favoured Barbie! My brother bit of Sindy’s chin…! I love that top as you know, I mention that every time I see it, especially in that ditto fabric, in fact I should look and see if they still have any. Enjoy all. Bit off her chin? That was a bit drastic! I never had a Barbie, she was definitely much more glamorous. I couldn’t find the fabric when I looked on the Ditto site recently which is a shame, it is definitely one of my all time favourites. This looks like a great TNT pattern – I love both, the stripe and the print. 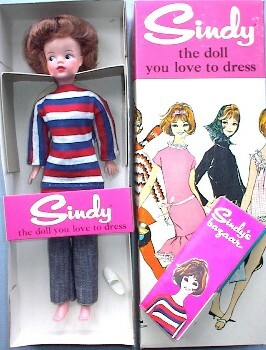 I think a lot of dolls suffered like Sindy. My Barbie lost her head many times and her leg once!